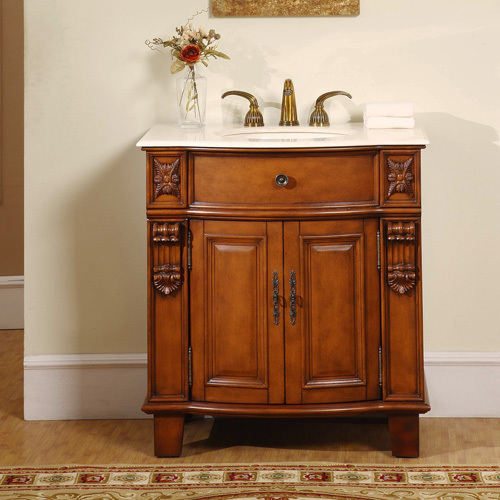 The Porano Single Bath Vanity offers a handsome, traditional look with a lot of options. The counter top is Cream Marfil Marble, which had been pre-drilled for faucet installation. The antique brass hardware looks great against its warm cherry finish. 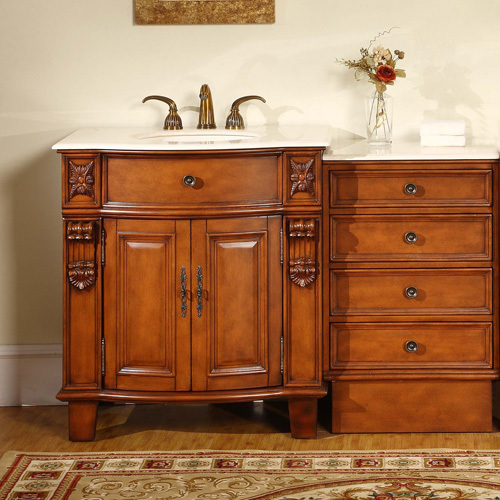 This vanity provides storage behind its double doors. 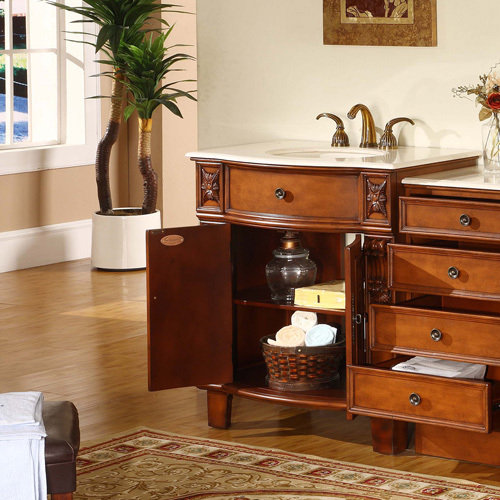 A drawer bank for this vanity is available, which provides even more storage. 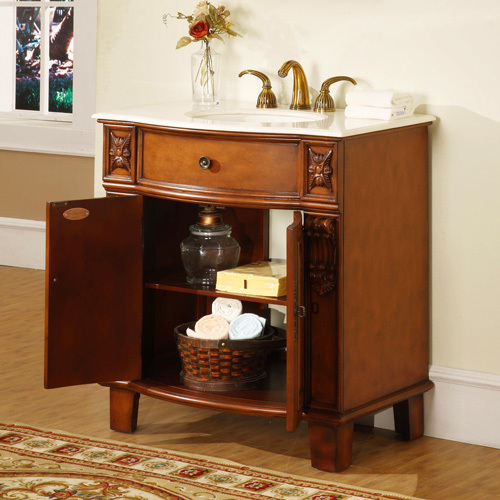 The drawer bank features a matching finish and the same marble counter top. Faucets are sold separately.